Kids love YouTube. The service is packed with ostensibly kid-friendly content. But child, consumer, and privacy advocacy groups are claiming YouTube illegally collects data about under-age viewers. They want YouTube to change how it handles content for children and pay a fine up to "tens of billions" of dollars for allegedly profiting off young viewers. In a complaint filed Monday, more than 20 advocacy groups asked the FTC to investigate the Google subsidiary for violating the Child Online Privacy Protection Act (COPPA), which limits how a company can collect data about kids under 13. Under the law, companies have to notify parents and get their consent before collecting data on children. "Google has made substantial profits from the collection and use of personal data from children on YouTube. Its illegal collection has been going on for many years and involves tens of millions of US children," reads the complaint, which was led by the Center for Digital Democracy and Campaign for a Commercial-Free Childhood. YouTube's terms of service say it is not for anyone under 13. To sign up for a Google account, which is used to log into YouTube, a person must say they are older than 13. But anyone can watch YouTube videos without an account or logging in. Parents can let their children use their accounts, or kids can lie and claim to be older when creating an account. According to Trendera research, 45% of kids between 8- and 12-years-old have a YouTube Account. Kid-focused channels can have huge subscriber bases and make significant amounts of money on ads. LittleBabyBum churns out animated nursery rhymes. It has 14 million subscribers and its videos have been viewed more than 16 billion times. Ryan ToysReview, which features a 6-year-old kid testing toys, made $11 million in ad revenue in one year. While Google doesn't let advertisers select age groups under 18, the complaint says there are still a number of ways to target ads at children, like select keywords related to kids such as "toddler" and "toy." 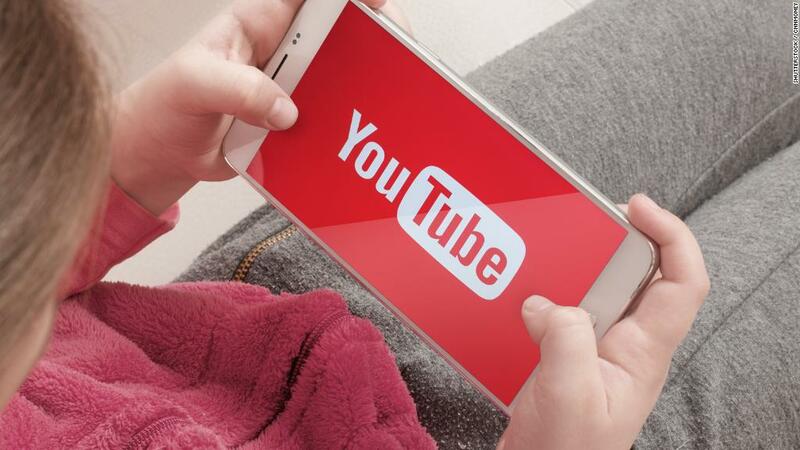 YouTube has a standalone mobile app for children, YouTube Kids, which it launched in 2015. YouTube says the app complies with all COPPA rules, and doesn't collect data for ad-targeting. "Protecting kids and families has always been a top priority for us. We will read the complaint thoroughly and evaluate if there are things we can do to improve," a Google spokesperson told CNN. "Because YouTube is not for children, we've invested significantly in the creation of the YouTube Kids app to offer an alternative specifically designed for children." COPPA was written in 1998. It was expanded in 2012 to apply to more types of companies and new technologies, like mobile devices and targeted ads. The FTC has pursued about two dozen COPPA cases in 20 years. If the FTC does find that YouTube violated COPPA, it could force it to add an age gate — a screen that asks viewers if they're 13 or over. An FTC said the agency would review the complaint. The complaint estimates YouTube inappropriately collected data on 23 million children over "a period of years." It asks the the FTC to fine YouTube up to $41,484 per violation, which would add up to billions. Denise Tayloe, CEO of COPPA consulting firm Privo, thinks the timing of the complaint could be tied to the new European privacy regulations (GDPR) that go into effect next month. "The GDPR is really heating up the privacy space, putting a lot of pressure on Google, Facebook and others to really acknowledge that they deal with children in the protected COPPA age range than they care to admit," said Tayloe. Non-profit group Common Sense Media is a signer on the FTC complaint. It reviews and rates media like TV shows and movies for parents. "We don't want to get rid of kids' content, and fear that an age gate could just lead to lying and then no protections for the kids' information since they say they are 13," said Common Sense Media VP Corbie Kiernan. "We'd rather Google have this content for kids but then comply with COPPA."